No need connection to the grid and the possibility of configuring the system through remote management, installation and operation of HYPERION SERIES Dust Proof All In One Solar Street Light become faster and more flexible than ever. * Economical: No electricity costs. Minimal installation costs. * Smart control: Self-learning energy management, customized light profile. 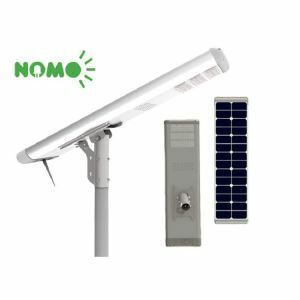 How do Solar LED lights work? Solar LED Light is entirely powered by solar. These photovoltaic cells from the solar panel capture the sunlight and convert solar energy into electricity.